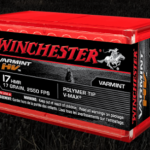 Winchester Supreme ammunition is loaded with the highest quality components available to ensure superior performance. 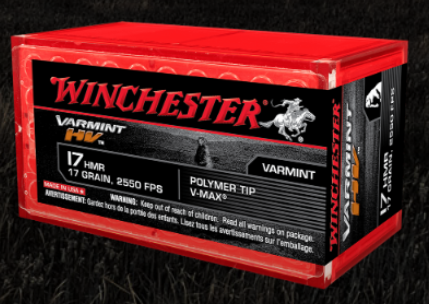 This fast and accurate ammunition features Hornady’s V-Max bullet and is ideal for varmint hunting or pest control. Hornady’s V-Max Bullets feature a polymer tip which enhances accuracy and promotes devastating expansion. The tip raises the ballistic coefficient for faster velocity and also acts as a wedge, initiating bullet expansion. 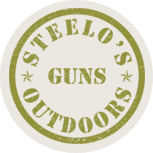 The flat base creates in-flight stability for long-range shooting.